Each and every gift to Lee Academy supports our efforts to provide the highest quality education for our students. Gifts to our Annual Fund, our annual giving appeal to our community, assist the school with providing funding for learning activities outside of our classrooms. Athletic teams, fine arts productions and student government are examples of programs funded by annual giving. Capital gifts allow us to make improvements to facilities and programs to continue our legacy of excellence. Planned Gifts, such as naming The Lula-Rich Educational Foundation in a will, life insurance policy or charitable remainder trust, or charitable gift annuities are directed towards endowment and helps us secure the future of the School. 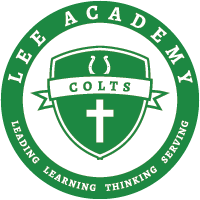 We invite you to browse these pages and learn more on how you can make a difference at Lee Academy. For even more information, please contact our office.